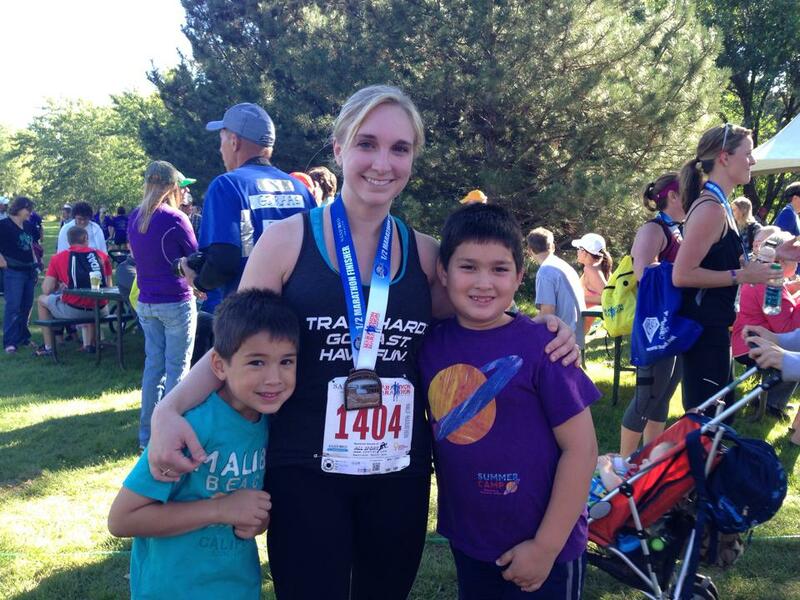 With my boys after finishing my second 1/2 marathon – September 2014. I work full time doing a job I love as a university administrator. My husband and I have two boys, ages 8 and 6. They all play hockey. A lot. All three of them. All the time. Like, it’s a lot of hockey. What about Summer you say? Nope, in Minnesota (the State of Hockey – go Wild!) it’s hockey all year long. While I’m at the rink (which is often) I’m on the laptop working on my Ph.D. in Education and in my free time I’m working on training for my first Marathon coming up in October. Are you in medical school? Or are you pursuing a PhD? Either way that is impressive! I am in an intense graduate degree program, so I understand the balancing life dilemmas! However, after being out of shape due to choice once and due to an injury another time, I decided I would NOT let school stand in my way of getting out of shape…haha.